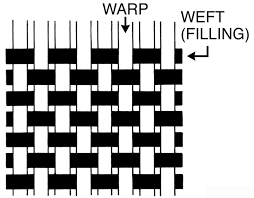 The correct weave is a very important factor in the selection of filter media. Satin weaves generally offer the best cake release. They do not blind readily and have fair abrasion resistance, but poor particle retention. 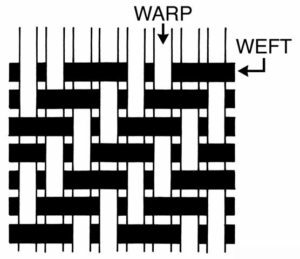 Twill weaves provide good resilience and resistance to abrasion. The increased surface area of twill fabric delivers good drainage and resistance to blinding with medium particle retention. Unfortunately, twill fabrics usually have poor cake release characteristics. 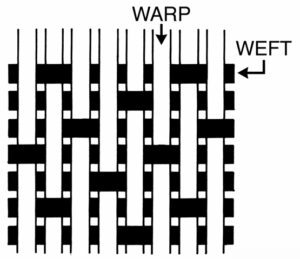 Plain weave results in a rigid fabric, often with a smooth, even surface that gives good particle retention and cake release, but with a susceptibility to blinding.